Managing leads effectively can be the difference between closing a deal and losing one. 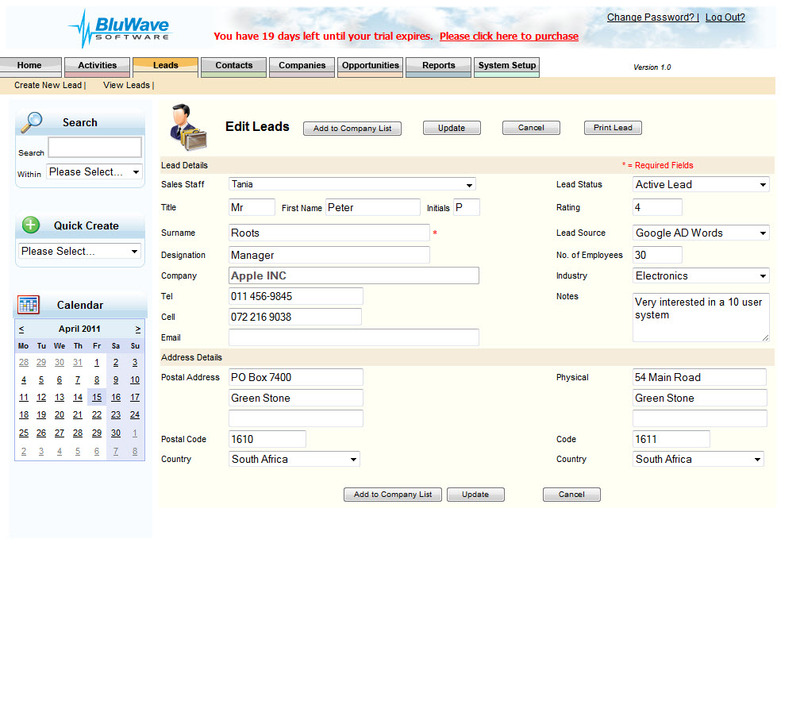 With our leads management software, enquiries coming into your website can be pushed directly into the BluWave CRM system for your salespeople to deal with. With this leads management software module, your salespeople will see new leads on their home page whenever they open the CRM system. Once the leads have been actioned by a salesperson and qualified, they are then transferred automatically to the CRM database for further processing. 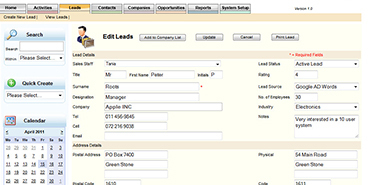 Your sales team can then use this database for outbound canvassing to process leads before sales qualification. In addition to importing leads directly from your website's enquiry functionality, our software can also store leads that are imported as lists. Want to know how our leads management software can help improve your sales process? Contact us today.